Problems. . Wallpaper and background images in the consigli club tagged: advice. not true. My friends care. 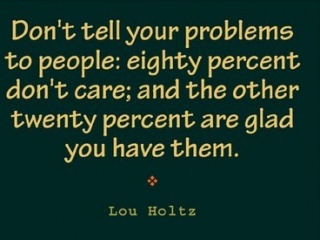 It should be 80 percent dont care, 19 percent are glad you have the, and 1 percent are the nicest people ever and help you with them!